Badminton doubles has an extremely different style of play compared to badminton singles. Two partners work together to retrieve the shuttle. 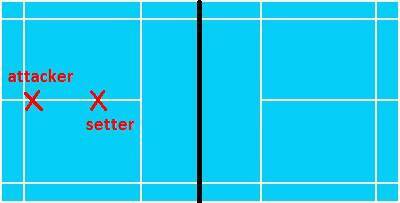 In professional badminton, you’ll realise that a singles player will not be a doubles player at the same time. It’s difficult for a player to specialize in both badminton singles and doubles. the court. Training for singles and doubles is also very different. Training Focus their training on footwork and accurate smashes towards the singles sidelines. Train more on returning badminton services (I’ll explain why later), powerful smashes and block defences. When playing doubles, it is very important that you DO NOT produce a high lift or clear unless you really have to. When you lift or clear the shuttle, you’re simply inviting your opponent to attack you. 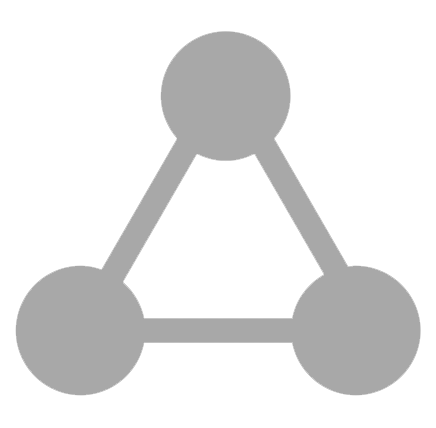 The objective is to force a weak return from your opponent with your consecutive attacks. In order to commence your attack, you’ll first have to force your opponent to produce a high lift. This allows you or your partner to smash. In doubles, returning a badminton serve is extremely important because it determines who gets the high lift first. The party who gets the lift first will get the chance to attack, which means they have a higher chance to win the rally. 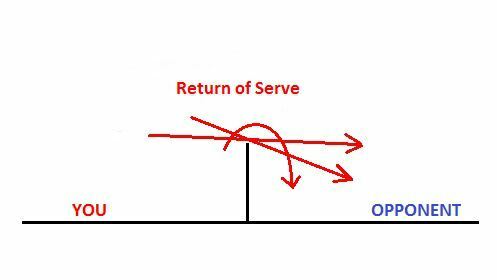 The picture above shows you the ideal return of serve in badminton doubles. 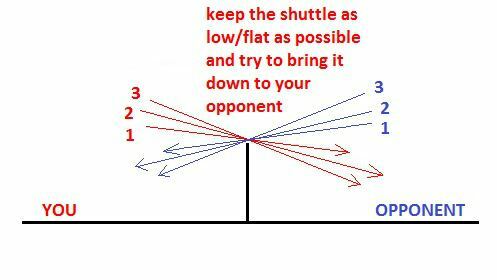 Keep the shuttle as low as possible or direct it downwards to your opponent. This may force a high lift from your opponent. If your opponent produces a poor quality serve (the serve is too high), do not hesitate to smash! A good return (as explained above) is a good way to force a high lift from your opponent. If your return fails to force your opponents to produce a high lift, be patient. Work your way through the rally; continue working on getting a lift from your opponents. and performs the high lift. This is when you start your attacks using the badminton jump smash. When one party feels that the shuttle is too low, they will eventually perform the high lift. Formation in badminton doubles is very important for fast continuous attack. Good formation also helps with defence. Your partner and you should move to form the attacking formation when you manage to force your opponents to produce a high lift. 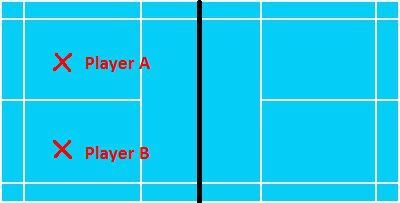 The badminton doubles attacking formation simply requires one player to stand behind his partner (see the picture above). In the attacking formation, the 2 players will have different roles. Securing the net position. The setter will apply pressure from the net area to continue forcing lifts from their opponent. The player at the back (known as the attacker) plays only 1 important role, which is to penetrate their opponent’s defences by firing powerful shots. the setter covers the front of the court in an attacking formation. Form a defensive formation when either of you execute a high lift or high clear. This formation will have you and your partner standing side by side, where each player covers their respective sides. In a defensive formation, be prepared to defend against your opponent’s powerful smashes. In addition, practise an important defensive skill known as the BLOCK DEFENCE. 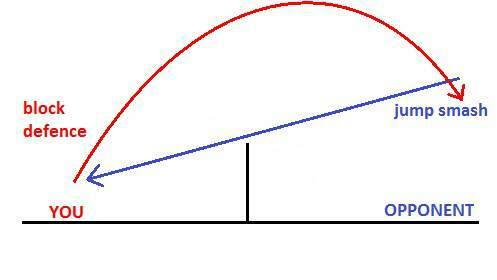 The picture above shows you the flight trajectory of your opponent’s smash (in blue) and a block defence by you (in red).